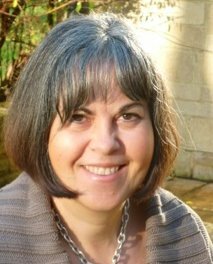 Cinzia is a highly experienced psychotherapist and life coach, with over 20 years experience in helping adults, couples, families and young people, to address a wide range of issues. Cinzia excels in helping clients in many areas, from anxiety and depression to building self-confidence and developing stronger, happier relationships. She is a master at helping clients discover how particular thoughts and behaviours can block both personal and career potential and which strategies and tools can enable better communication, improve relationships, enhance personal fulfilment and result in positive change. Cinzia is also highly experienced in helping people work through trauma and she holds a specialisation in addiction work with families. Issues Cinzia can help you with include: anxiety, panic, depression, stress, relationships, family issues, career, addiction and recovery, fertility, chronic illness, confidence, self-esteem, anger management, bereavement, parenting issues, trauma, ocd, personality disorders, life changes, emotional regulation, communication, self-image and shame. Cinzia works collaboratively and creatively with clients and uses a wide range of psychotherapy and coaching skills including: transactional analysis, cognitive analytic therapy, systemic theory, self psychology, mentalization based treatment, motivational interviewing, person centred psychotherapy, cognitive tehavioural therapy, psychodynamic psychotherapy, solution focused therapy and coaching techniques. Cinzia is fluent in both English and Italian and has a nursing background. Cinzia has worked as a psychotherapist for Mind and as a GP counsellor for the NHS before specializing in families and addiction. She has worked in the addiction field for many years and was the Leader of Clinical Services for the charity For Families, Action on Addiction (formerly Clouds) since 2007, creating many innovative therapeutic interventions to benefit individuals, families and children living and coping with addiction. In addition to her work as a psychotherapist, Cinzia is an experienced clinical supervisor and trainer. She has designed and delivered psychotherapy training accredited by Bath University and other bespoke courses, in response to demand in the field of addiction. Cinzia is a registered provider of counselling and psychotherapy for Healthcare Insurance companies including: WPA and Aviva.